May you know this transitory lifetime must be making the best quote of your hearts content. You may make this dream every moment as our loved blessing will devote for the supreme foundation in my simple prayer. Let you be delighted in this service. May be our loved ones carved this valuable gifts for a giveaway of one lifetime all of us are blessed. I happen to be here in the midst of this valuable possession. Often any change cannot kill its initiative if making one commitment within simplicity of a heart renew this bond in time again for the dearest lifeline Almighty has embeded in our soulful lifeline. Today life is this beauty no one have discovered yet made unless the burning desire to be the better than the best in service of the truth serves duty to be inherited again. If life joins us in a track so dutiful may life in this era promise the beginning of all that takes in those stepping stone of time, space and love. Many times every new year can remake this effort by a true heart of the greatest teacher who exist yet unknown to be the virtue of this draft. If I am one such scholar who merits all contribution so pure, may there is a collection bound for who serves the rarest emblem of peace for our neighborhood. Together everyone like this spiritual darkness come be the light of our far undone attitude than a success for all light from the divinity within. If you understand where we are from what came before our orgin in a language for the destiny of tomorrow, a word unspoken in language is a thought our queen has granted for all the knights who guarded this kingdom. When the very first person who visited her forienter came from the land of unknown so speechless, where will be our understanding of a prayer I have seeded in this new news? Come again will this treasure knot our lives for a season of gratefulness forming waves in the ocean of our dream page never stoping us without asking again why we are here, so truly for the merits, not just for a sign on the backyard of the silence, but the face of all togetherness may come from the heart within for its unendless crypt in making a dearest dream of our loved ones most important than our own life ever lived again now. I sincerely pray my dearest tribute before this vision I may contribute in this new lifeline for those dearest possessions always been my dream page for a better tomorrow for my loved ones. This is a news story I like to win in an endless struggle I may be gifted to be Lords craft in a new text so written without wrinkles in my age again. 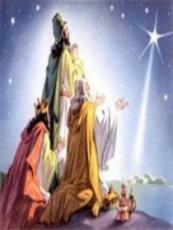 Can the gifted spirit join this journey of peace, hope and joy once again in making a blessing so true like never before? This is a sincere thanksgiving spirit of all the blessings I may be gifted. In time, this space is beyond expectation. I hope one grace of kindness made life unique. It has been quite blessing and somewhat likely lucky for each one of you who found this page in real life. When I mark this age, we have hopes imported into best made out of peace, hope and joy as these are like sundials that always check guardians life in making angels live last being their imprints. May I drop back a note for the carpenters in our lifes who made up the sundials in HIS kindgom! This search of truth brought many kind levels of assessment masking the history of a age. In my search someone planted HIS every imprint make crafts for our midst. It is said sun cant be blessing nor can bless unruled limits of laws beneath the skylimits. Yet someone made once an enquiry with the teacher, can this make the sun always fly in my glof club? The teacher asked the person for same price made for the shine their way. Changes comes, Crafts Changes yet Carpenter brings us something for new choices, challenges and clip boards. This has been life for this person so far. The person asked teacher, are stars near? Allow yourself feel free and secure your life in the midst of troubles, threats and treason for whatever life make the change craft one carpenter for you. This time gives you a chance for rethinking the best of luck, love and living that can be near you. Your search for this truth is endless and I have planted some new steps that brings happen for the tree, treasure and thanksgiving for whole life has ever gifted you in the midst of your existence. Near ones are nearer. Time made us this happen. God channeled this beginning. Mankind live with their special gratitude for the presence of love for humanity crafting life with their fellowbeings. You are unique as you have always are exchanging this merit. I have never met you. I dont know why you need the information you are looking for. I dont trust how you use this truth. Yet I have faith in you. I dont say I love you back yet would console my threads of your life with my world on this journey in this message. Know light has special nature. It created endless glow in the beginning and everything stood back when vaccum filled its life yet we speak of fire for its purity. Let me say I have my sole belief that all this message and writing never will be ever rooted back into this vaccum of any ones existence, expectation or expedition into the quest what made this real human life in a package for the best ever existed. So whats the point? Let me give you the logic. There is a miracle if you believe in your existence with the supreme spirit. This miracle is you and me cant be everlasting here or anywhere but in your way ahead their is trust, valuable gift of a star somewhere nearer in existence and we consider ourself empty without its energy. Why is this so? Are we away with what we have? Do you need new crafts? Has life made what you are? Away in time, your thoughts shape actions in the mirror for the persistence why we exist and can this be seen with all what we are made of HIS knowledge, know-how and knocked down for the presence some star gave way into our theme of gifts. I have only uprooted some seeds for this new beginning far way ahead on its path away for this magic, miracle, measurement, machine and man-made lesson for this simple thought into love for HIS existence. Thanks.!!! You are free to contact me. Spams and unsorted emails will be blocked. Keep in touch. This is a message that will be never forgotten. I draft this as light of one heart in the passion for life. Let me recall one incidence in real life before you. A journalist asked Eric Berne, author of Born To Win & Games People Play one thought provoking question. It is remembered like this. "Why is there no reflection of all your work in your real life? " This author answered, " My life is not my message.". People who followed their deepest values in their entire vision of life has changed history. If you also feel the same, I only have three analysis of your entire life experiments. One Life !!! Be Loved !!! Beware!!! Dont Float Fake Dreams!!! Make Gifts Reality!!! Save Yourself!!! A day we give for the world to find a place so worth here makes the universe around tell us the path we find for the knowledge we are inspired, do you feel the future can be changeable if we just renew some habits we can avoid being a burden for this planet ? To stay alive, we have to fight each day. Even the pope has to work for the plans the entire celebration gifted for mankind be a blessing. You may know where we light each day, will unravel us towards the darkness meant to love the just way our life is. You may know it is not a war we are heading but the quantum of all universe will one day speak from all the blessing we share. Just one question. Will we face these times again for doing the best we can do starting from a home we must live for the better grants we are blessed here ? I know this is a simple question. Yet worth contributing. Do you feel our stake in this world must end with a insecure planet for a new day ? Some imperfections exist in this life we live here. Today we are connected and we care the insecurity being global citizens of a new order. Here this means we must care for one reason why we need a consideration to be fit that our world will be a remembrance for the reason why it is so made. I know it is human nature we never care for someone other than what we are. It may not be a matter to consider for the life meaning a deep gift for all the way that given us a quest for a new day. One time you will know that the only thing you are here, will be the respect we owe you as a goodnews for the life you make with it. There are enemies everywhere. When I write this note lots of people try to recall why I am trying to fix a problem that affects all without knowing the rest of the life I can enjoy without thanking the great love our generation are blessed. Your prime minister is a honorable person. He was in INDIA and being our good friend I value all the support he has given us. I know the time we living must understand that being one means a lot more than division of common interest. I am thanking him for the support that is given for the time when we can harvest new reflections from a land where all matters us for the whole world. This comes from sharing the commitment we have for one planet. It matters for all. There is a good gift we can make our future secure. I understand the simplicity of my heart just cannot make me go out of the comfort that must ask your awareness here. It is a time we need a solution to conserve water in an organic way. We have lots of issues but what matters for all comes learning each of our longest time here do differently but coming together to greet the love of all around. I know this is a sacrifice for one planet. There is a reason why we break without nurturing them. I can tell in my simple words that all of us need to rise for the good cause we can support anywhere we are. May be the concern that affects us is conserving water for the future. Look at the poverty in Africa. How can everyone solve this for making a better help ? Just play the word game build by world food program www.freerice.com ? Think differently through innovating what we can do making our presence for a world through one home we are promised here. You are living giving the clear message of our common unity in this friendship. I have gone through the profile of your favorite author. There are lots of neighborhood unknown in our universe. We also dont know the secret behind this unknown source. Our perplexities about this universe tell us we need not trade with this mystery. Yet like any another creation on this Earth we are inquisitive about a change resistant for our climate change. Do you feel we need more alerts ? I wish no adversities come here till I may exist here. There is a imperfect person between us. From the day this was born here, let us recall the note of a author who only mined time and space for these answers. May be truth is so simple as the last word may help us. Wherever we can respect a good intention for one common cause, I hope everyone can unite for some imperfections in the big flat world where people dont create a barrier for others in the name of race and religion. It must be everyones personal note to understand divinity in the total respect of one human cause for a strong society that be our backbone of small pledge be our commitment for safety, security and survival for all here. I must quote our religion as global citizens must be humanity. No care any spiritual purpose ever made be perfect shaping this understanding of one creation why we owe this help from our unique responsibility. It is defined and renovated in many ways that lead us towards the same ocean we call as our lifeline in this creation. Beauty doesnt hurts. After many events we have such a leader who served a role model worth if anything were possible. Regarding this fact, no one has the authority to question her majesty. We make our life out of choices we serve in our duty. You must not make this as against speaking in doubts. Here people are living a life they sacrificed to keep running the entire system. Their ways only helped our home. If it didnt existed, today we will never enjoy the freedom of open speech. Let us endure in a life as example for anyone else here. So please dont use harsh words even if it is ones judgement. You may not have the time devoted to seek her majesty. Yet we respect for her courage to take the central message of anyone who never gave up for the odds. History is our witness. Let us seek patronage in the truth. There is no unique definition of truth. So please frame goodnews that can attract your inner self to higher levels of positivity. Let us praise the goodness in others so for our world. Dear Lord, please give me… A few friends who understand me and remain my friends; A work to do which has real value, without which the world would be the poorer; A mind unafraid to travel, even though the trail be not blazed; An understanding heart; A sense of humor; Time for quiet, silent meditation; A feeling of the presence of God; The patience to wait for the coming of these things, With the wisdom to recognize them when they come. Amen.